After the divine Goddess Gayathri asked the mystic Brahmin Nemani Subbarao to go to Naimisaranyam, Subbarao sat down in the evening – all alone at his residence – and did quite a lot of calculation to figure out everything about his trip to that most sacred place on the earth..
After about an hour,Subbarao could finally spring up with some plan of action required to go to those sacred forests..However there was one big question that was constantly knocking hard on the bright walls of that great Mathematics genius’s mind.. He thought..And thought..And thought..And thought..And after some point of time came up with an idea that he thought would certainly convince Lakshmi to go with him to Naimisaranyam..
As per his plan,the next day,he immediately called one of his elderly aunts in Hyderabad.. This elderly lady,whose name it is not necessary to mention here,commands quite a lot of respect among all the relatives of Subbarao as well as Venkata Lakshmi.. Although much witty in Nature this lady is an extremely devotional lady with abundant knowledge of almost all the aspects of Hindu religion and philosophy..She’s revered by many,among the relatives of Subbarao,as a very enlightened spiritual personality..
“..Pinnee (Mausee)..You know well that am not only following the instructions of Goddess Gayathri but also going wherever She’s asking me to go..You also know well that myself and Lakshmi recently went to Basara where I performed penance for forty days..
Pinnee..Now Mother Gayathri is asking me to go to the sacred Naimisaranyam forests and continue my penance there..Although am very happy about Mother’s instructions,am unable to know how to convey the same to Lakshmi..I also don’t know what would be her reaction if I ask her to come with me to such dark and dangerous forests.. This was what the elderly lady in her reply,said..
You didn’t change a bit since your childhood..You still get irritated very easily..Now tell me what is your problem..? ?..” asked the elderly lady,laughing loudly.. The same evening Venkata Lakshmi took the next available train to Visakhapatnam and reached home..
After Subbarao completed his daily meditation of the sacred Gayathri Manthra,Venkata Lakshmi asked him.. In a low tone Subbarao replied,”..Day before yesterday after I finished the morning Sandjyavandanam and pooja,Mother suddenly told me to go to Naimisaranyam and perform penance there..For forty days..”..
“..Forty days..? ?..That too in dangerous forests like Naimisaranyam..? ?..How is it possible Maastaaru..” a fully confused Venkata Lakshmi asked Subbarao..
“..What do I know Lakshmi..How will I ask Mother and how can I say no to Her..? ?..”..Subbarao tried to explain.. Without wasting any more time,the meticulous Subbarao swung into immediate action and called on phone a few more of his relatives to know whether they would be interested in joining them in their trip to Naimisaranyam..
One of Subbarao’s aunts,who stays in Rajahmundry,and who is also spiritually a well enlightened elderly lady said,”..Very happy to hear about the trip to the sacred forests raa Panthuloo..Myself and your uncle will certainly join you all..It’s an age old desire for both of us to visit the Naimisaranyam forests..
(“Bhagavatha Saptaham” is a spiritual practice that was first launched,several thousands of years ago,in the sacred forests of Naimisaranyam by the holy celestial sage Narada Mahamuni..Veda Vyasa wrote “Maha Bhagavatha” and on the instructions of sage Narada passed it to the human world through his illustrious son Suka Maharshi.. It is a belief among millions of followers of Hindu path of spirituality that if they recite rather read the “Maha Bhagavatha” slokas reverentially for a week,all their sins would go and all their wishes will fulfill..
Later,Subbarao called a couple of more elderly relatives who immediately expressed their willingness to join Subbarao in his great spiritual journey..
After taking confirmations from all his relatives,Subbarao did a little more home work and a few more calculations and had finally decided to go to Naimisaranyam in the month of April,2004 of course after completion of the annual examinations of his students..
After Subbarao had finalized everything for the trip that his wife Venkata Lakshmi raised a very complicated question.. “..Maastaaru..Many are saying that our staple rice will not be available there in Naimisaranyam..Since it is a part of the Northern India region,many people there eat only Wheat chapathis all the time in the day which would be very difficult for South Indians like us to eat both during lunch time as well as the dinner time.. Although Subbarao said so to convince his wife he too was a worried man about the availability of food there in Naimisaranyam.. He couldn’t sleep peacefully that night.. 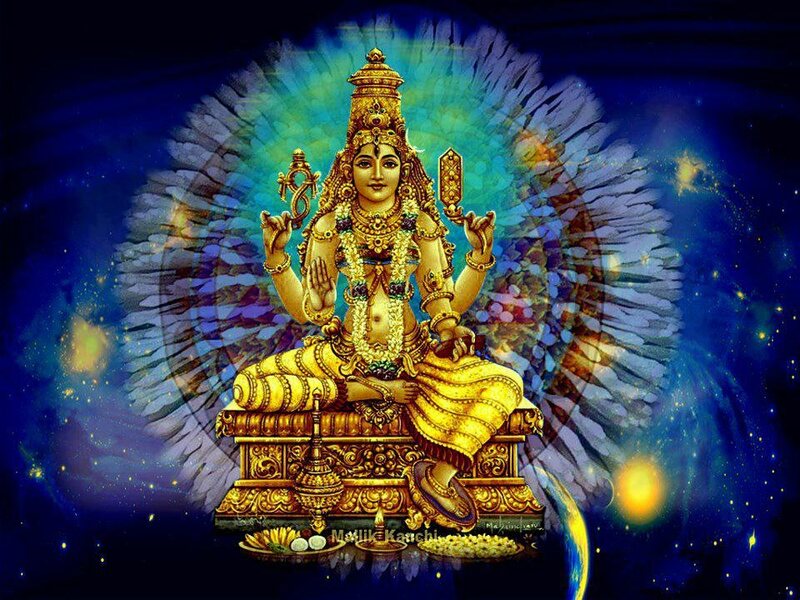 Both Subbarao and Venkata Lakshmi got up at their usual time of 4 a m and finished off their morning chores..Later Subbarao sat for his meditation and recited the sacred Gayathri Manthra up to about 9 a m.. The musical,magical,mystical and the most mesmerizing divine voice of Goddess Gayathri uttered in Subbarao’s ears..
Subbarao literally danced for a few minutes..He realized that Goddes Gayathri was observing every moment of his life..He quickly conveyed the same to a much worried Venkata Lakshmi..She too felt immensely happy..
After making all the arrangements and working out all the plans a group of nine members,including Subbarao and Venkata Lakshmi,left for the most sacred place on this Earth,the Naimisaranyam forests by Gorakhpur Express from Hyderabad..
And this marks the beginning of the spine chilling journey of Naimisaranyam by the mystic Brahmin Nemani Subbarao and his holy gang..